Since 1983 our dedicated staff at Regional Hospice and Palliative Care has provided patients dealing with incurable illnesses compassion and expert care. We offer our patients in the Stamford area with both in-home and in-patient hospice care, along with palliative care and pediatric care. Located in Danbury, CT we provide your loved one with care, compassion, and respect while they are in need of end-of-life care. Our services are available 24 hours a day, 7 days a week. 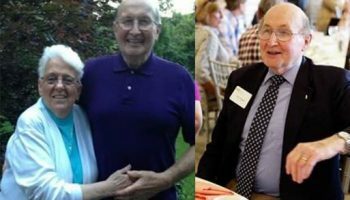 We provide hospice care to individuals at home, assisted living facilities, and nursing homes, offering medical, emotional, and spiritual support to those in the Stamford area who need end-of-life care. 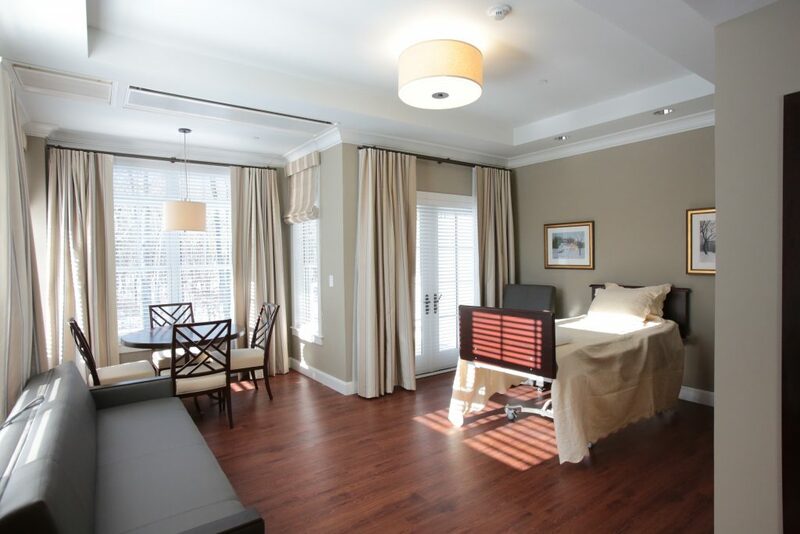 Located in Danbury, CT offering gourmet meals, family accommodations, and a variety of private suite amenities, we offer our inpatient residents only the best of care. Patients who receive specialized medical care can expect their pain and symptoms from serious illnesses to reduce over time. We strive to create a better quality of living for all our patients. With prenatal and pediatric hospice care we are able to provide medical attention and endless love to our youngest patients and their families. We have successfully helped thousands of patients throughout Connecticut, including those here in Stamford. Since 1983 Regional Hospice and Palliative Care has upheld a standard of respect and expert medical care for our patients, and can treat them at their house, nursing home, or here in our facility. 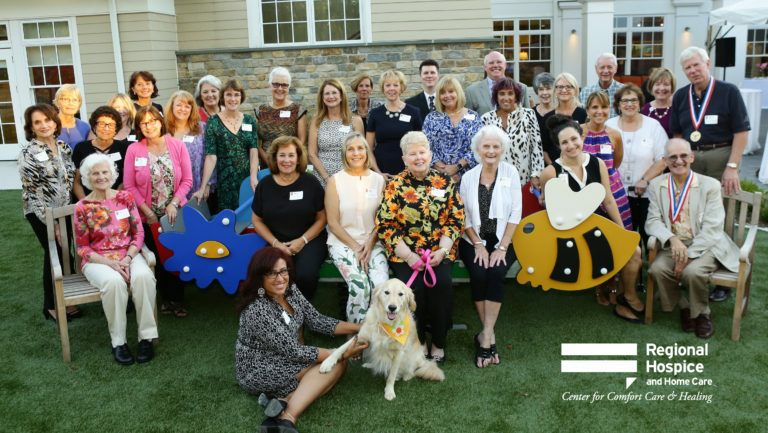 Additionally, we have built Connecticut’s only advanced private suite hospice center, Center for Comfort Care and Healing in CT.
We are very proud to have been invited into thousands of patients lives and homes for the last few decades, and can now invite them into ours. We take pride in providing only top quality hospice services to our Stamford patients, whether they remain at home or come stay with us at the Center for Comfort Care and Healing, Regional Hospice and Palliative Care is here for our patients 24 hours a day, 7 days a week. With a qualified staff full of physicians, registered nurses, social workers, chaplains, hospice care aides and trained hospice volunteers, patients can expect personalized care and treatment plans, and for those in need we also offer speech, physical and occupational therapy. We understand the pain and heartache that accompanies any end-of-life services, which is why our entire staff focuses on creating a comfortable lifestyle for your loved one while treating them. We take pride in our standard of treating patients with peace, compassion, and dignity. 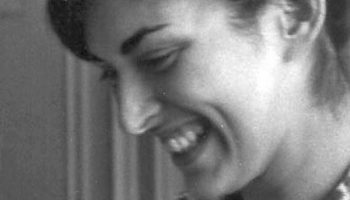 Hospice care is typically suggested when an individual receives a terminal prognosis of 6 months or less, or a child is struggling with a life-limiting condition. Our staff provides medical, emotional, and spiritual support to all patients, helping to maintain the best quality of life possible. Anyone from physicians to friends can refer patients and loved ones to receive hospice care. They will be admitted to us under the direction of a physician, though the referral can come from anyone close to the patient. We offer an online hospice form for individuals in need of an easily accessible referral. Medicare, Medicaid and most private health insurances cover the costs that come along with hospice care, letting you spend your time focusing on your loved one. We provide our Stamford patients with Home Hospice Care whether you’re at home, an assisted living residence, or a skilled nursing facility. Your hospice care my be with a nursing home or assisted living facility that is under contract with Regional Hospice and Palliative Care. Our trained and qualified volunteers are available to give your hardworking caregivers a break when needed. Every volunteer can provide company, run errands, and share special skills to enhance each patients lives. 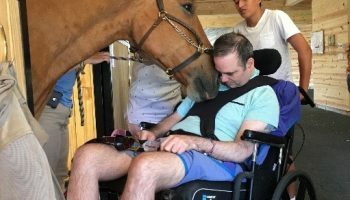 We respect the uniqueness of each and every one of our patients, what works for one may not work for the next, which is why we offer services at our Inpatient Hospice Center, located in Danbury, CT when staying at home isn’t an option anymore. We respect your loved ones wishes and maintain a level of high quality care that is customized to their condition. Our patients are never left with disappointment after enjoying a gourmet meal prepared by our chef Jonathan LeFebvre and his wonderful kitchen staff. Let Chef Jonathan become a member of your family as he has done for many others and create yet another outlet for positivity while staying with us. 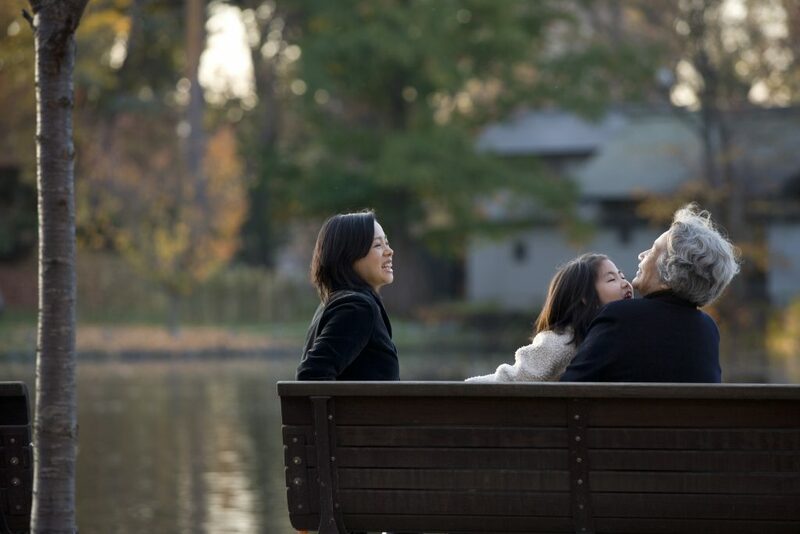 Stamford patients in need of customized treatment plans to deal with the pain from an advanced illness can find comfort knowing we have an entire program dedicated to them, our Palliative Home Care Program. Palliative Home Care, specialized medical care, is best for patients with serious illnesses who wish to remain home. This type of care will help loved ones and their families understand and cope with their disease, and help manage and treat any pain and symptoms. For some, palliative care is used alongside curative measures. With the Palliative Home Care Program patients who are either homebound or wish to receive treatment from the comfort of their home can gain expert medical attention from multiple outlets. The program works with physicians to treat and manage pain, and is especially useful when symptoms are difficult to control. 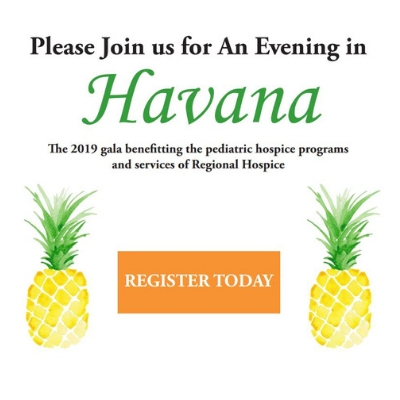 Our Pediatric & Perinatal Hospice Programs provide medical support and psychological guidance to Stamford families whose babies have a terminal condition or have passed. Through emotional, spiritual, and physical support we are here for you and your family at any moment during this time. Pediatric & Perinatal Hospice care provide guidance to parents and families when caring for their baby at home, along with connecting them to local resources for further help. Our healthcare professionals who specialize in perinatal care frequently visit our patients and provide personalized medical care. 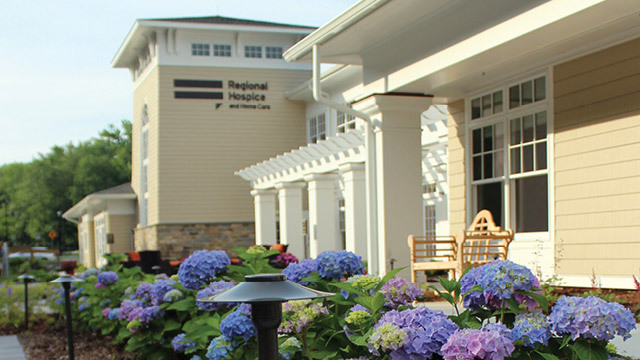 Regional Hospice and Palliative Care has been dedicated to treating patients in the Stamford area since 1983. We have a staff full of loving and experienced individuals who are ready to help your loved one with their end-of-life treatment. When you find yourself looking into hospice services please give us a call and learn how we can help create a better quality of living for your loved one.